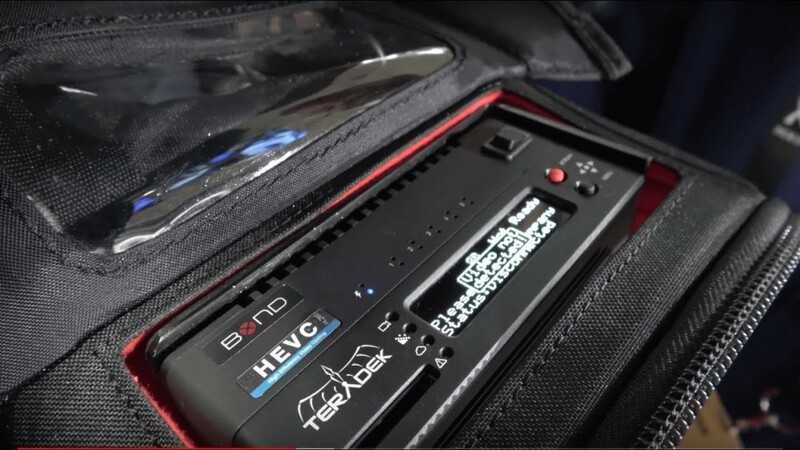 http://teradek.com provides their 3rd period Bond Knapsack to livestream online video from any where. It can integrate as much as 10 LTE sim card connections (likewise with 4 additional iPhones supplying included bandwidth around WiFi hotspot and the Teralink application) bond them together to sustain a credible FHD or 4K live video stream from any state, from anywhere. The Bond strategy includes Teradek Cube, a H.264 and H.265 encoder that supports bit charges of as much as 30 Mbps, a boot-to-live time of 20 seconds, it can streaming in 4K with adaptive streaming, shut-captioning, dealing with both of those HDMI and SDI inputs for the resource. The Teradek Bond development module links to the Teradek Cube by method of a pogo pin adapter providing to 4 more modem connections through USB or 4-pin adapter and a designed-in 5 minute Li-Ion provides continuous energy throughout battery swap. Teradek Node is their greater efficiency 3G/4G/LTE modem for exceptional connection, a lot more bitrate, far much better weather condition resistance, it links to Bond by ways of USB or 4-pin adapter. The Teradek Bond interacts to Teradek Core which is the IP video management environment Sputnik server in the cloud that runs demuxing software application to transform the understanding back once again into an identifiable structure for transcoding the video feed from H265 to AVC, change bitrate, resolution, framerate, and to handle multi-system supply of the stream to limitless locations at the similar time, such as YouTube Live, Fb Live, Twitch Live, Periscope Live, individualized RTMP servers, HEVC/AVC decoders, and a lot more. I love the way you push him Charbax. Great video. Did you end up understanding why the encoder had the antennas? It's basically the input for your data coming in from your recording devices whether a phone or camera. The BOND has the modem andtennas (USB) because it handles the actual internet connection and not taking in the data. It's the encoder that takes in the Data, and outputs it to the BOND which then spits the encoded data from the TERADEK Encoder out to the internet if I understood correctly. 9:40 2 Mbit for 10 hours was 1gb. Sure pal. Nice device but so overpriced cloud & hardware. Did I miss something? He says in the video that 4k is coming next year but it is mentioned in the description?! That's way over priced. That hardware software is very cheap and easy to build. The clod software to stitch the multiple feeds is pretty easy. I guess though they charge 5 times the cost because the cu as timers are few.